M5 Devon northbound severe accident, from J31 for A38 to J30 for A376 Sidmouth Road Exeter. M5 Devon - Severe delays and queuing traffic for nine miles on M5 northbound from J31, A38 (Okehampton turn off) to J30, A376 (Exeter), because of an accident involving multiple vehicles earlier on. Congestion to A38 Splatford Split and the A379 as traffic diverts around. Travel time is 1 hour 15 minutes. All lanes have been re-opened. A38 Cornwall westbound severe accident, from A374 to B3251. A38 Cornwall - A38 in Trerulefoot closed and queuing traffic westbound from the A374 junction to the B3251 junction, because of an accident. A38 Cornwall both ways severe accident, from Castle Motors to A374. A38 Cornwall - A38 in Bylane End closed and heavy traffic in both directions from the Castle Motors junction to the A374 junction, because of an accident involving two vehicles. It will be generally clear, cold and dry overnight, with light winds. A few mist patches may develop, but, where it remains clear, frost is possible. Minimum temperature: -1 to 2C (30 to 36F). Tuesday morning will start fine with any mist lifting to leave early sunshine. Patchy cloud is likely to develop during the afternoon, though, and this may be rather extensive at times. Maximum temperature: 10 to 13C (50 to 55F). A man has been injured in a crash which left him trapped in his vehicle in Clyst St Mary, near Exeter. Emergency services were called to the A376 at 13:00 after an HGV lorry carrying compost tipped over onto its side. The man was released from the vehicle by fire crews and then taken into the care of paramedics, Devon and Somerset Fire and Rescue Service said. Police said it was going to take "a number of hours" before the road was fully cleared. 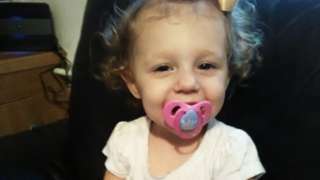 Thomas Curd denies murdering 22-month-old Eve Leatherland in October 2017. Her Royal Highness Princess Anne has arrived at Citizen’s Advice in Totnes to meet staff and volunteers. The princess is patron of the charity, and attending events in Paignton and Plymouth as well. Schools across Cornwall and Devon are taking part in a 10-day challenge to use car-free ways to travel to school. The Sustrans Big Pedal encourages pupils and staff to leave the car at home and cycle, walk or user a scooter instead. Primary and secondary pupils are competing against other schools to see who has given up travelling by car the most. The challenge aims to make the school run safer and healthier. 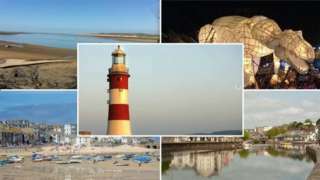 The University of Plymouth is considering the number of students it has enrolled at the institution amid staff redundancy rumours. A "close-knit and caring town" has come together to support people who "lost everything". 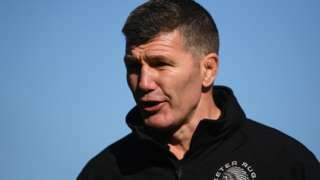 Exeter director of rugby Rob Baxter says they must adopt a mentality that shows they want to win the Premiership title. 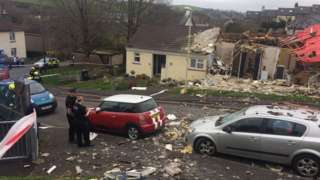 Discussions are due to get under way about the future of residents whose homes were destroyed or damaged by a suspected gas explosion in Buckfastleigh. Marilyn Rice, 65, was airlifted to hospital in Bristol with "serious" burns while another person was treated for minor injuries at the scene on Saturday morning. Residents have raised almost £1,000 to support those affected. Rene Teague said her sister was burnt "head to foot" but responding well to treatment. Police said Ms Rice was still in hospital in Bristol, while the cause of the explosion was still being investigated. Our neighbourhoods team are contacting everybody individually and supporting them on an individual basis to make sure they're OK, and to see if there's anything else we can do." Two rival football clubs in Devon have joined forces in an attempt to stop prisoners from re-offending when they're released. Rivals Exeter City and Plymouth Argyle are teaming up to help roll out the project at HMP Exeter and now HMP Channings Wood, near Newton Abbot. Those involved said classroom teaching and physical activity were being used to give participants better job prospects and mental health. The hope is the project - thought to be the first of its kind - will then be rolled out nationally. Speedboat killer Jack Shepherd, originally from Exeter, is now likely not to fight extradition and could return to the UK as early as this week, his lawyer said. Shepherd went on the run while facing trial over the death of Charlotte Brown, 24, when his speedboat overturned in the River Thames.